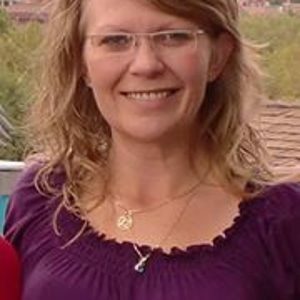 Danielle Ohlund is an Ordained Minister in Interfaith/Spirituality, an Energy Healer and Holistic Practitioner. She earned an Associate’s degree at “Southwest Institute of Healing Arts”. While attending, she discovered the art of “Toe Reading” and was immediately intrigued by the magic in connecting with peoples toes and discovering how thought patterns, life’s experiences, and emotions manifest in the physical form of the toes. She has helped hundreds of people unlock hidden impressions within their toes and feet with great success. In 2002, her spiritual teacher taught her the power of energy through hands on healing; by a process of imagining a white healing light pouring through the top of the head, coming out of the hands on to the area in need of healing. After years of imagining the healing light, Danielle discovered in 2013, she no longer needed to imagine as the healing energy began to move through her automatically. She partnered with another healer in 2014 and together they performed hundreds of hands on healings to people with a variety of diseases, mis-alignments and ailments. Through Danielle’s life journey of overcoming a multitude of great challenges, her spiritual awakening assists her in using her wisdom to help her clients overcome depression, pain, stress, anxiety, as well as teaching an empowering and holistic approach to achieving a healthy balance through Mind, Body and Spirit connection.